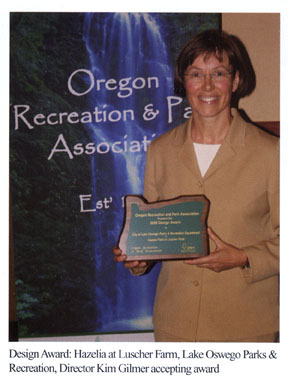 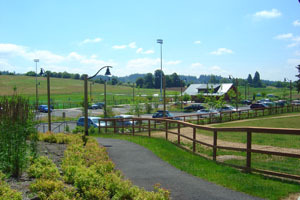 Awarded the Oregon Recreation & Parks Association's 2008 Design Award for Outstanding New Park Project. 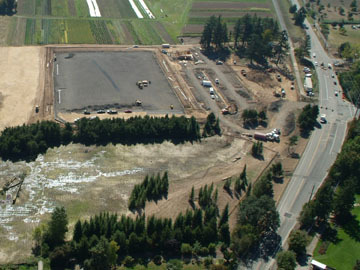 Hazelia Field at Luscher Farm is the City of Lake Oswego's newest community park. 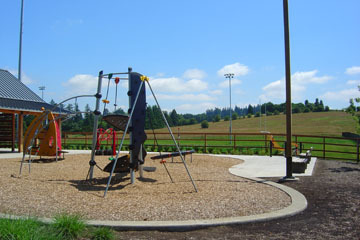 It is a 12 acre site containing the first artificial turf athletic field on city-owned property, 1.5 acre wetland, two dog parks, playground, restroom facility, parking lot, and trail access to the recently constructed Stafford Basin Trail.